As the sponsors of the 2015 South Beach Wine & Food Festival® Amstel Light Burger Bash presented by Schweid & Sons and hosted by Rachael Ray, we got to pick the judges. As the official judges, Chrissy, George, Dan, Katie & Geoffrey‘s job will be to taste every burger being served using Schweid & Sons ground beef. 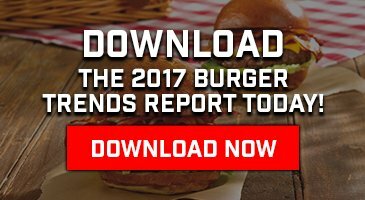 Once they’ve done that, as a panel, they will pick which burger ultimately deserves the Schweid & Sons Very Best Burger award. The Chef that created the burger they choose will go home with The Schweid & Sons Very Best Burger Award. The South Beach Wine & Food Festival® asked us to come up with criteria for the judges to use when they are tasting the burgers so they can determine what makes the Very Best Burger. So we interviewed each of the judges and asked them what they thought, after all, they are the experts. We listened, we learned, we took a lot of notes. All of their suggestions were compiled and now we leave it up to you, the burger fanatic, to decide, what makes The Very Best Burger? Rate the following burger build components from most important to least important. (Most important being #1.) We will compile your answers and it will be given to the official Burger Bash judges to use during the event to choose a winner. Final results for the judging criteria, will be posted on our website before the Burger Bash.